You’ve come to the right place if you’re looking for the best spa in Atlanta to get a Swedish massage! Treat Your Feet Buckhead has a very soothing spa environment. If you’ve never had any of our body massages before, then a Swedish massage would be a good first choice. While the masseuse’s strokes are firm in a Swedish massage, they are softer than those in a deep tissue massage. During your massage, our masseuse will use topical oils to massage the different muscles of your body. Depending on the muscular need, some massages may be very slow and soft, while others may be a bit more robust. 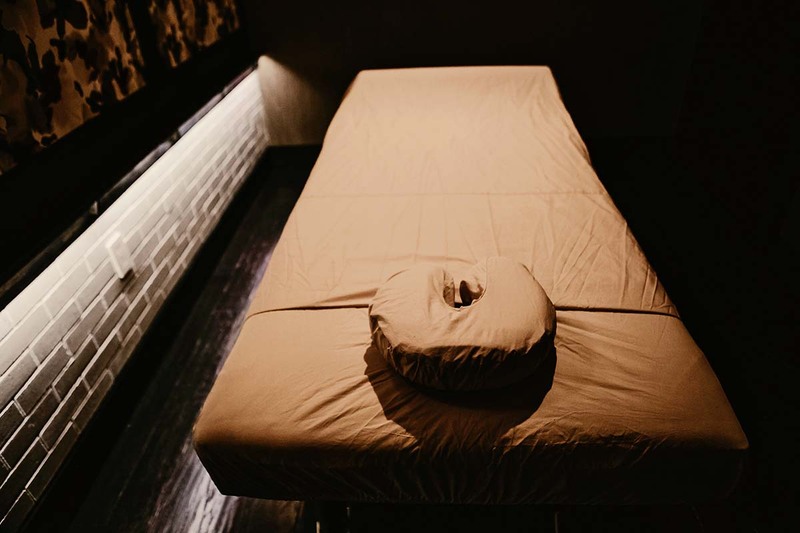 Our masseuses will use long, firm strokes in the direction of the heart to help drain metabolic waste from your limbs and increase circulation while providing an overall relaxing experience. The goal of a Swedish massage is to relax the muscles and unwind the knots that many people experience due to poor posture, overuse of muscles, and everyday stresses. Does this sound like you? The techniques used in Swedish massage have been known to decrease both chronic and injury-related pain and soreness through increased blood and oxygen levels to the muscles. Before your massage session begins, communicate with your masseuse about any conditions, aches, or injuries from which you are seeking relief, so they can tailor the massage to your liking. “I’ve never been to a spa of any kind before but I really wanted to treat myself to a stress relieving activity. I called Treat Your Feet for walk in availability and I was able to quickly make an appointment. I chose the 1 hour Swedish massage and Remi was my masseuse. She did a fantastic job. The hot stones were the best part and she worked all of my knots. It felt great to the point where I almost fell asleep a couple of times.